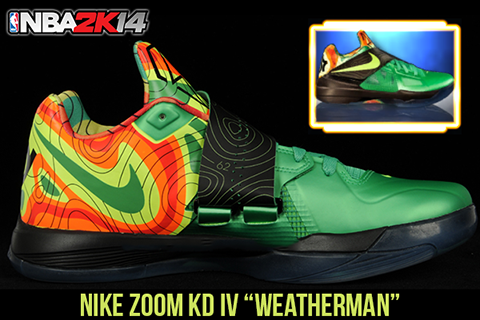 This adds the Nike Zoom KD IV Weatherman edition in NBA 2K14. 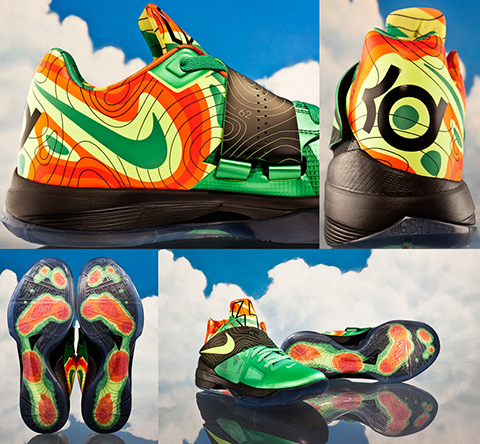 It pays tribute to Kevin Durant's fascination with his second career choice as a meteorologist. 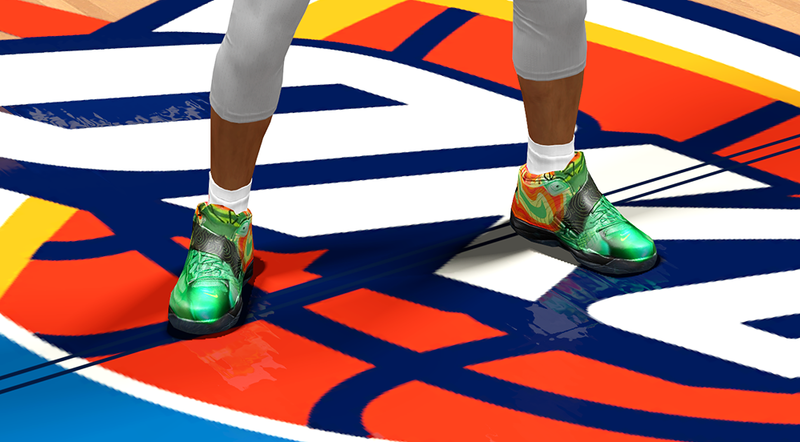 This stylish and colorful KD 4 sneakers features a bold weather inspired graphics wrapping the upper heel, green upper representing a green screen, and thermo-mapping scans of Durant's footprint as doppler patterns on the outsole. 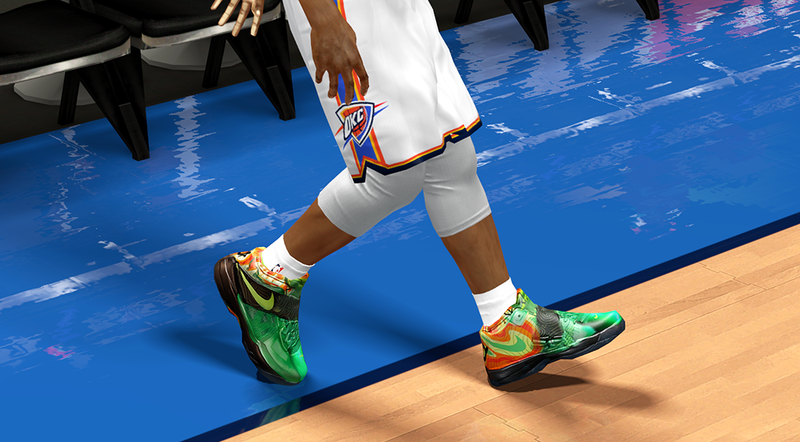 It replaces the default KD IV Away shoes. Backup files are included in the patch. 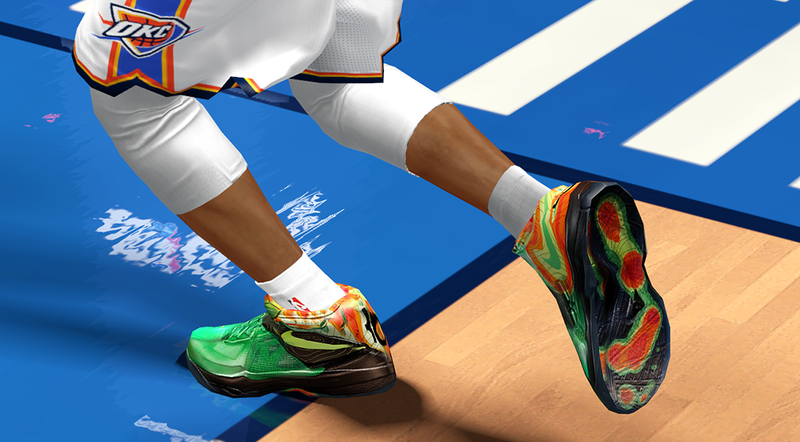 Installation: Place the two files from the "KD IV Weatherman" folder in to your NBA 2K14 game directory - C:\Program Files\2K Sports\NBA 2K14 and replace the existing shoe files.